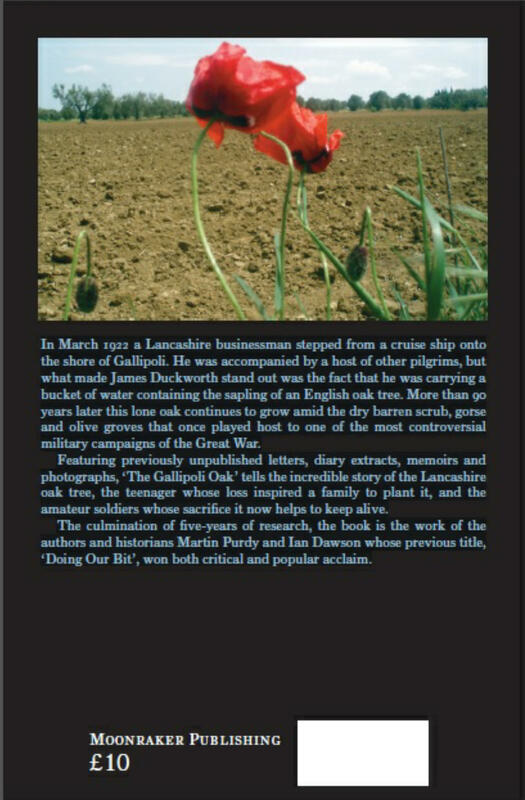 In March 1922 a Lancashire businessman stepped from a cruise ship onto the shore of Gallipoli. He was accompanied by a host of other pilgrims, but what made James Duckworth stand out was the fact that he was carrying a bucket of water containing the sapling of an English oak tree. More than 90 years later this lone oak continues to grow amid the dry barren scrub, gorse and olive groves that once played host to one of the most controversial military campaigns of the Great War. 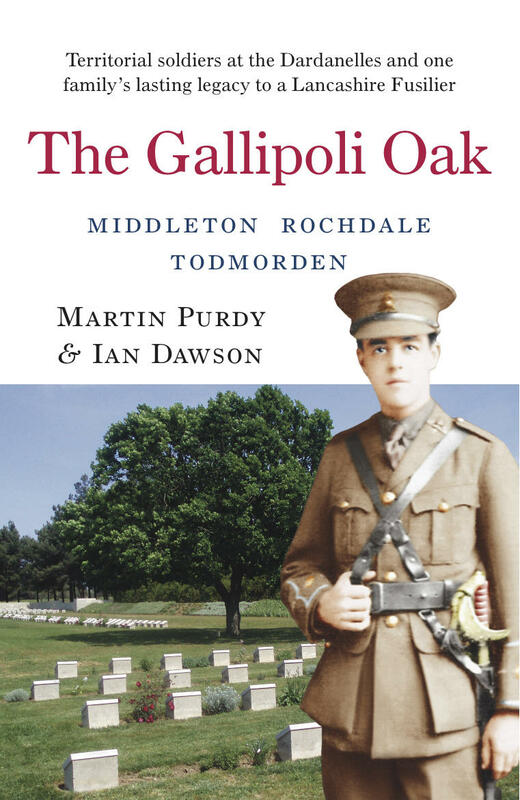 Featuring previously unpublished letters, diary extracts, memoirs and photographs, ‘The Gallipoli Oak’ tells the incredible story of the Lancashire oak tree, the teenager whose loss inspired a family to plant it, and the amateur soldiers whose sacrifice it now helps to keep alive. 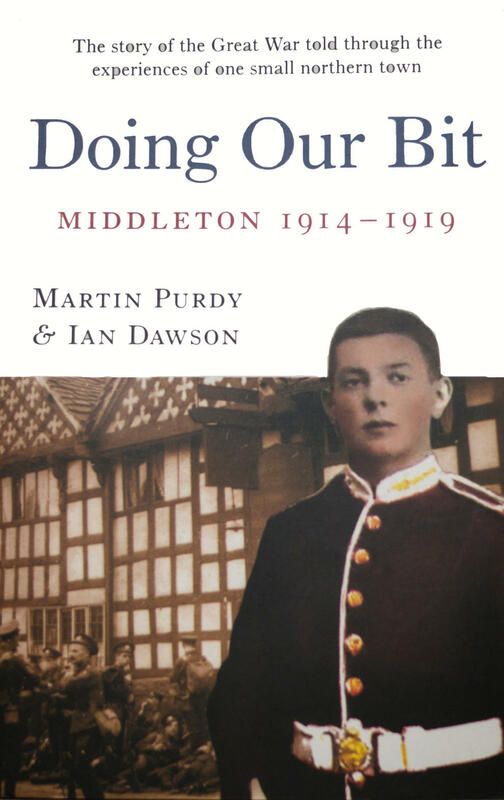 The culmination of five-years of research, the book is the work of the authors and historians Martin Purdy and Ian Dawson whose previous title, ‘Doing Our Bit’, won both critical and popular acclaim. This product is dispatched directly from the authors.